If you are looking to convert your EFI Mustang over to a carbureted setup, review some highly important details before making the leap! In this article we will go over some of the general components as well as pros and cons for these swaps. Going from your factory 86-93 EFI to a carbureted setup is actually not as easy as most would think. 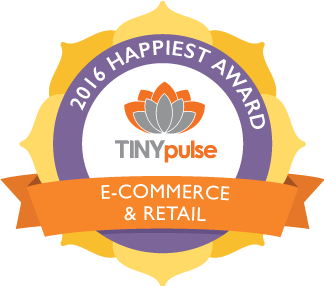 There will be a few different areas that we will cover on this swap within this article. For your fuel system we will start at the rear of the car with the tank. The best overall route to go is to try to retain your factory tank at all costs. This way you can retain your factory fuel level sending unit and the communication with it and the factory gauge will stay the same. This will benefit you down the road if you ever had to replace this, you do not have to remember what option you had to put in there to make everything work. Your factory fuel pump hanger would need to be diched on these swaps. The high pressure in tank pump would no longer be valid anymore. 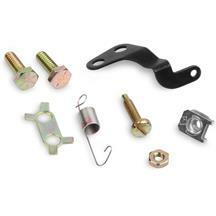 One of the easiest options to go with is our part number GRN-GMTI7998. 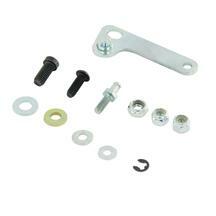 This will allow you to retain the factory tank and eliminate the factory hanger with one part number. 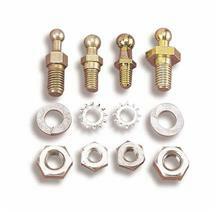 From there you can utilize custom lines using the popular AN style fittings to your low pressure pump. Our friends at Holley offer the tried-and-true Holley blue pump. This pump will also include the needed regulator to dial in your setup. You can also go with a mechanical setup, but this will require you to change the front timing cover over to one that has this provision built in to run the pump, also a fuel pump eccentric would have to be added for proper operation. Either route you go with will require the use of custom lines for the entire car. Your factory intake and fuel injection system would be eliminated. This will also include a majority of your wiring harness and associated sensors for this setup. Choosing a carb will always depend on your particular setup you have. Your best bet is to consult with your engine builder for the size to go with. This will also apply to the intake manifold. With the 1000’s of different possibilities and combinations out there, it is best to consult with your engine builder to determine the best choice for your particular build. Your factory intake track, including mass air if equipped would be next. This would then be replaced with the traditional style air cleaner on the top side of the carb. As we mentioned in the fuel system portion, if you do choose a mechanical fuel pump, the swap over of the front timing cover is necessary. Vacuum routing and deleting some ports can also be needed. There are a few different way to go about doing this. Your easiest bet is to go with a complete MSD setup. 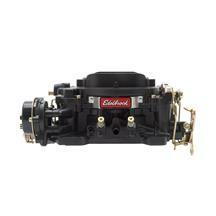 This will include the distributor, coil, and the ignition box. 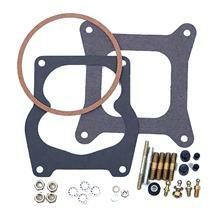 You can also go with factory components from the carbureted years of Mustangs. This will include the distributor, coil, duraspark, and associated wiring. Overall there can be many pros and cons to doing this style swap. 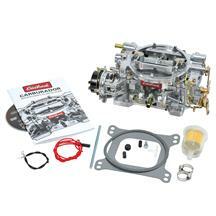 Knowledge is key, your mechanical skillset and overall understanding of carbureted setups is a must. Carbureted configurations are becoming a lost art honestly. Tuning can be an issue if you do not know what you are doing. EFI will automatically adapt for changes in elevation, air temp, and ignition timing. Carb’s cannot do this; you would have to manually fine tune these parameters yourself. Cost is another factor, since you are starting with a car that is not factory equipped with a carb, you will be spending a lot of your build funds on components that may or may not be actually benefiting you in the long run. Most people still feel that going carb is more reliable over EFI, but in most cases this is not true. The advances in technology have really made carb setups a thing of the past. For example, something like the Coyote platform and the power these engines make. Emissions are another issue that you can have with doing a carb swap. With new laws coming down the pipeline every year, this is becoming more difficult to do on a factory EFI equipped car. If you plan on having a true off-road/track use only project, then you would not have to worry about this. 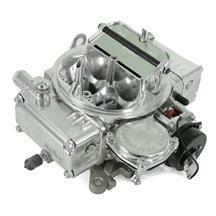 I hope this general overview of our EFI to Carbureted guide has helped you make your decision. For all things 79 to present Mustang, make sure to check out LMR.com.